How do conventional and T-tails differ? What design considerations go into the decision between conventional tails and T-tails? Functionally the horizontal stabilizer/stabilator are the same in both cases, providing negative lift, the elevator control and a method for pitch trim. What are the differences though? As far as I am aware the T-tails I have flown have T-tails for avoiding propwash (PA-44) or aft engine placement (EMB-145). Are there other reasons for having a T-tail? 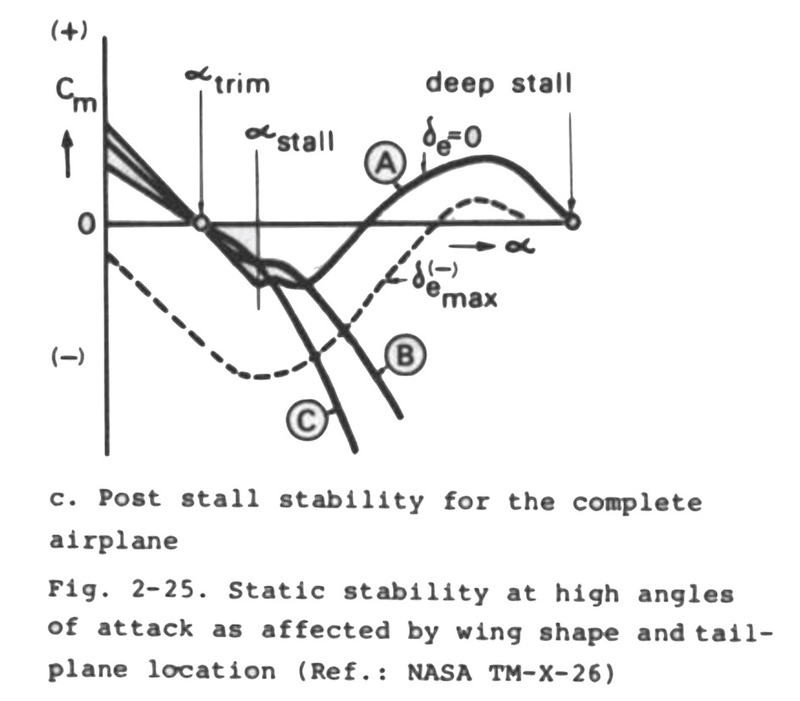 What are the aerodynamic consequences a pilot needs to be aware of with a T-tail (e.g. avoiding hard de-rotation on touchdown, issues at high AOA, etc)? The placement on top of the vertical gives it more leverage, especially with a swept tail. Depending on wing location, it stays in undisturbed flow in a stall. Note: This is really depending on the details, the HFB-320 had a forward swept wing and a T-tail, which made a deep stall possible (and in one case fatal). By designing the junction with the vertical well, the T-tail has less interference drag. It also helps to reduce wave drag, especially when using a well designed Küchemann body (the round, long, spiky thing on the tail junction of a Tu-154) by stretching the structure lengthwise. It can help to increase the effectiveness of the vertical tail by keeping the air on both sides of it separated. At the other end, the fuselage does this already, so moving the horizontal tail up does not hurt so much there. As a consequence, the tail can be built lower. The mass of the horizontal tail on a long lever arm (= the vertical tail) means that the torsional eigenfrequency of the fuselage will go down. This might be a problem in case of flutter. As a consequence of the smaller vertical tail, a T-tail can be lighter. Note that the increased leverage means that the horizontal tail can be smaller as well. This reduces friction drag and is the main reason why most modern gliders have T-tails. A T-tail produces a strong nose-down pitching moment in sideslip. The T-tail sticks the elevators out of the disturbed air of the wings, prop, and (usually most of) the fuselage which gives you better elevator authority, and makes a tail stall less likely. It has some drawbacks though, by putting the elevators directly in the (turbulent) separated flow from the wings during a stall can put you in a (more or less) unrecoverable deep stall. The considerations in the roe's answer are entirely correct but there might be other factors to take into account. First, it is true that using conventional tail leads to the fact that the airflow over the tail might be disturbed by the main wing and/or the engines and/or the fuselage. However, the downwash induced by the main wing on the flow is taken into account (for the cruise conditions) in the design of the tail in order to reduce some negative aspects of the interaction between the main wing and the tail. Another major difference between these two configurations concerns the stability. As I already explained in this answer, the tail is used to create some lift that is required to fulfil the trim relations. Regarding the "vertical" force equilibrium equation, there is no real difference between the two configurations but there is a big one for the moment equilibrium. Assuming that you have the same amount of lift generated by the both configurations (this is relevant due to the "vertical" force equilibrium), a quick sketch will convince you that both the angle and the lever arm are different. The conclusion of this study cannot be drawn without a specific example but I hope it is clear for you that stability is really impacted by the choice of the tail. From a structural point of view, when flying transonic (or even supersonic) it is not good to have a T-tail configuration because it usually induces flutter on the tail. Finally, at a lower level but still a difference, using a T-tail increases the wake (compared to a conventional configuration, where the tail is almost in the wake of the main wings and the fuselage) behind your aircraft and thus the drag you need to overcome is larger. A T-tail has structural and aerodynamic design consequences. The structural considerations are of course the increased weight of the vertical tail due to now having to support the forces and moments on the horizontal tail, including strengthening for flutter. The vertical tail can be shorter due to the end plate effect of the horizontal tail, and the moment arm to the CoG is longer - however for most higher subsonic speed aircraft these effects merely reduce the weight penalty. One unusual flight characteristic of the early Victor was its self-landing capability; once lined up with the runway, the aircraft would naturally flare as the wing entered into ground effect while the tail continued to sink, giving a cushioned landing without any command or intervention by the pilot. The aerodynamic consequences of a T-tail have most to do with stability and control in stall and post-stall behaviour, and can be grave. The Fokker 28 and F100 had stick pushers that acted upon detecting a high angle of attack, making it pretty much impossible to keep the columns at aft position. The reason for this is the reversal of the $C_M$ - $\alpha$ slope of T-tails, as depicted below. The aeroplane is aerodynamically stable when the $C_M$ - $\alpha$ slope is negative, such as in cases B and C. For configuration A, the slope becomes positive after the stall point, meaning that the nose wants to increase upwards after reaching the stall - not a good situation. The stall speed must be demonstrated during certification, and safe recovery from a stall is a requirement. A stick pusher prevents the aeroplane from entering the deep stall area. Not the answer you're looking for? Browse other questions tagged aerodynamics aircraft-design or ask your own question. What is a 'deep stall' and how can pilots recover from it? How does an aircraft tailplane work? Why do T- tail airplanes have a shorter vertical stabilizer? What airframe design is best for stormy weather? What is (theoretically) the most efficient shape for an aircraft, assuming you don't have to carry any cargo? Why did the F-104 Starfighter have a T-tail? Why do trijets (3 rear engines) usually have a T-tail instead of a normal tail? What are the advantages of the Cri-Cri's tail and fuselage design? Why does the Sukhoi-30 MKI have both canards and conventional horizontal stabilizers? Why jet engines can differ in shape? What is “settling with power” and how does it differ from vortex ring state? Why the use of twin tails? How do elevator servo and anti-servo (geared) tabs differ? How does bank angle differ from roll angle with respect to stability in fixed-wing aircraft? How would gyroscopic effects affect push-pull configuration vs conventional twin engine in the event of engine failure? Why do the C-141 and C-5 have T-tails? Is there a conventional notation or name for the slip angle? How do conventional missiles fly?